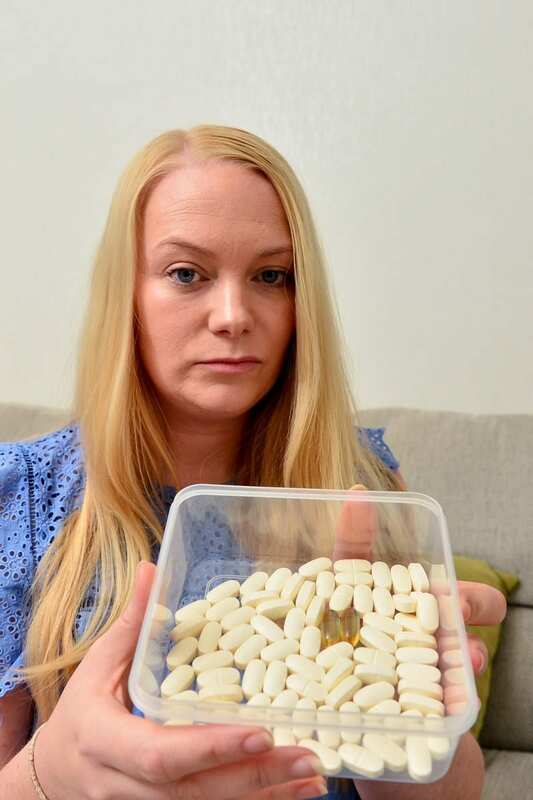 A mum-to-be who delayed chemotherapy cancer treatment to protect her daughter has told of her heartbreak after the infant ‘died six times’ and is now suffering brain damage. Brave Andrea Cole, 28, went into induced labour six weeks early after she was diagnosed with invasive ductal carcinoma in her right breast. She gave birth to daughter Ariana Williams – weighing just 2lb 15oz – and the infant went from strength to strength. Andrea then underwent the chemotherapy she postponed fearing it would damage Ariana in the womb after scans revealed the cancer was not spread to other organs. But despite thriving and being allowed home in April after 30 days in the NICU, Ariana was rushed back in after her heart stopped beating in her paediatrician’s office. She was rushed to Golisano Children’s Hospital on April 12, where doctors revived Ariana after she coded six times. Tragically Ariana had been deprived of oxygen for too long and she suffered severe anoxic brain injury. 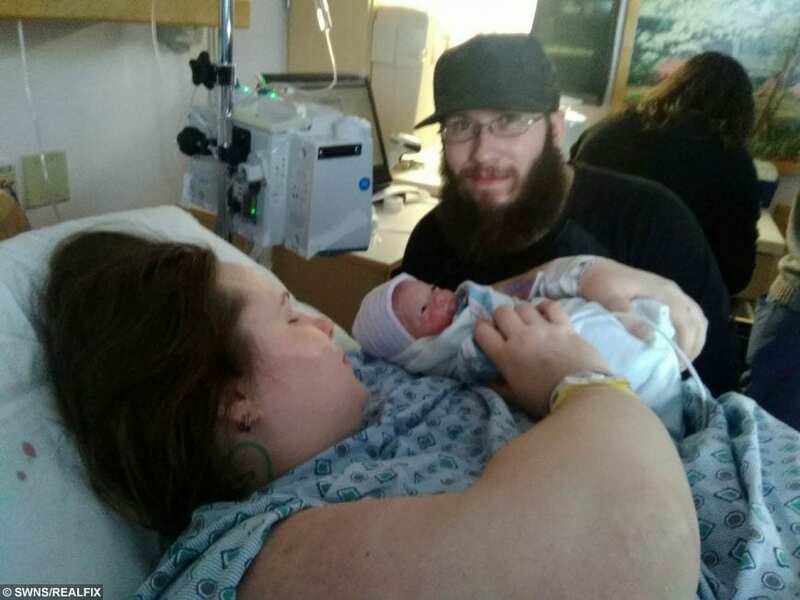 Andrea and her construction worker partner Erik Williams, 30, of Killawog, New York, are trying to stay positive as her daughter remains on life support. Ariana Williams on Life support. 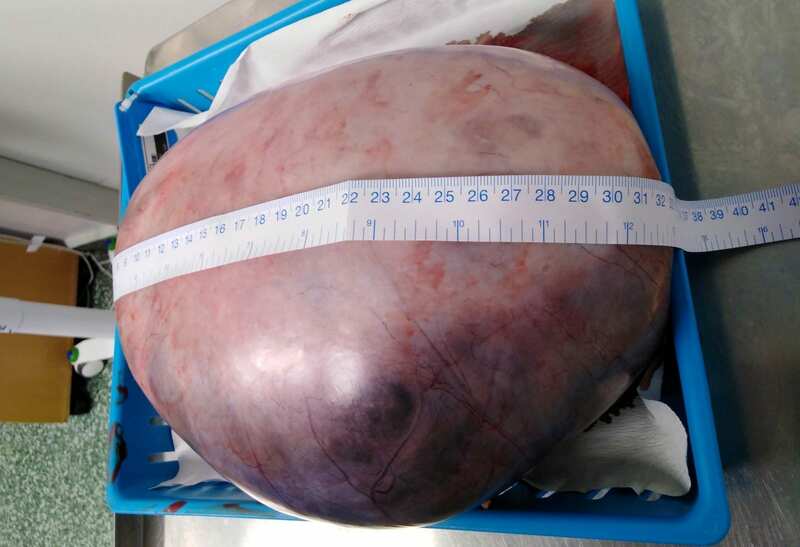 Mum Andrea, who is still undergoing weekly chemotherapy, said: “I noticed a lump like on orange peel on my right breasts and they found two large masses when they scanned me. 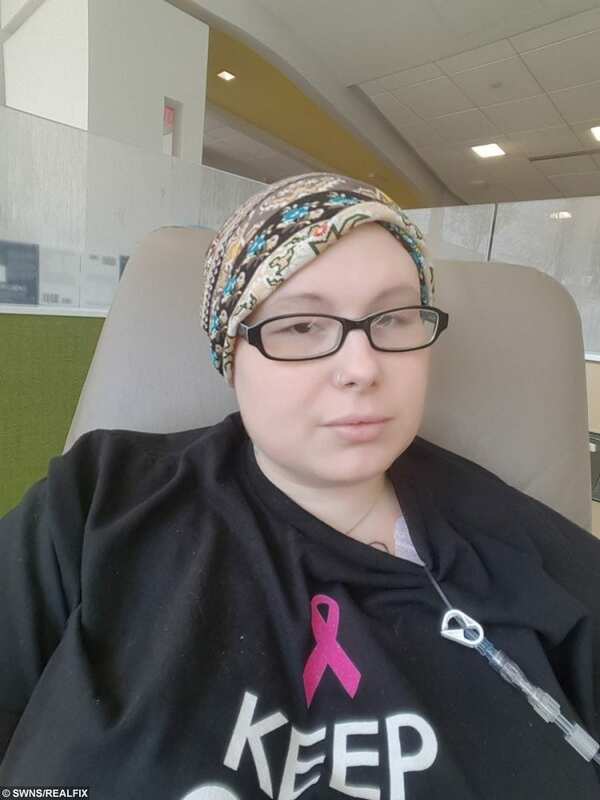 “They diagnosed me with ductal carcinoma after a biopsy. When I was diagnosed I was devastated. “This was supposed to be the happiest time of my life and now I didn’t even know if I was going to be here for my daughter. “But I knew I couldn’t stress because that would place stress on her. I denied chemo because I couldn’t take that risk. “For four more weeks we waited, allowing the baby to grow as much as possible but my doctors said at 32 weeks, they couldn’t wait any longer. “They couldn’t tell if my cancer had spread until I had my baby and could do the scans. “I was luckily able to deliver naturally and I was able to hold her for just a minute. She was so tiny. “You think you love them as much as you can when they’re inside you but when you see them and hold them it’s a whole new love. I started chemo ten days after I had her. “Luckily, my scans revealed my cancer had not spread to my lymph nodes. My doctors were very happy. 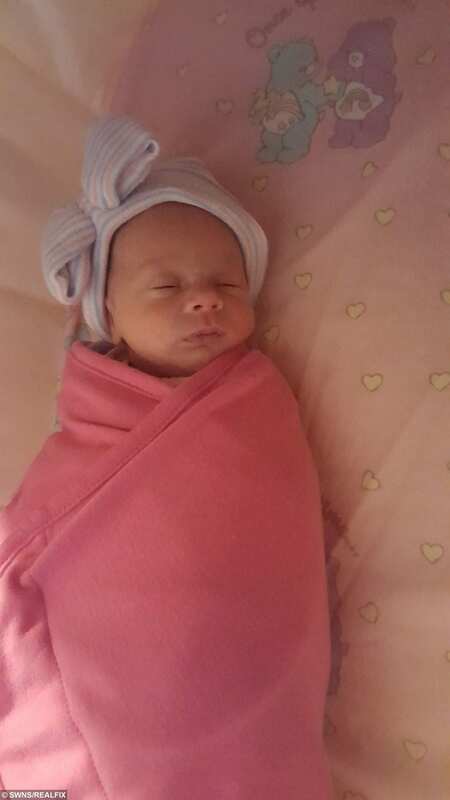 She did so well in the NICU, we were able to take her home after 20 days. “On April 12 I noticed she was whining and she wasn’t really a whining baby at all so I knew something was up. 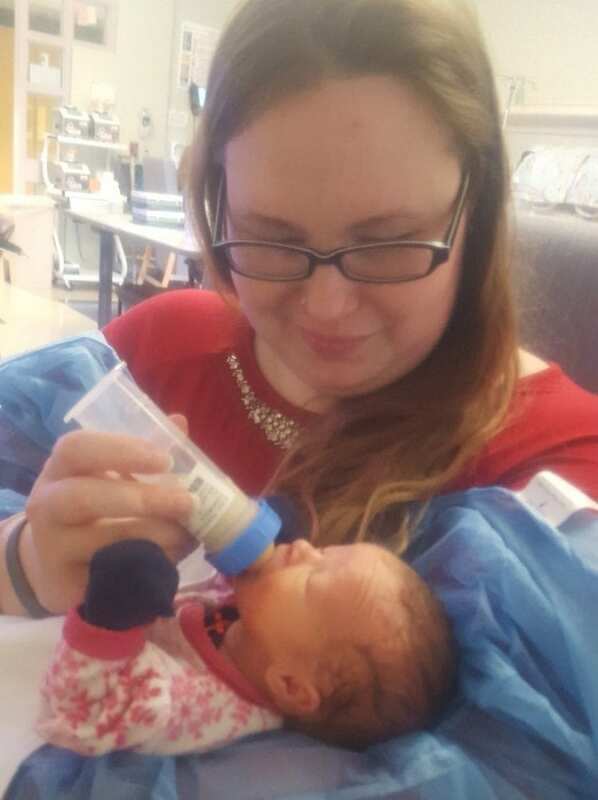 “She rejected her second bottle so I knew something was wrong. We brought her to the pediatrician’s office and they put us into a room to wait. “It was then she stopped breathing and she turned purple. They managed to revive her but the second we got to the hospital she just coded. 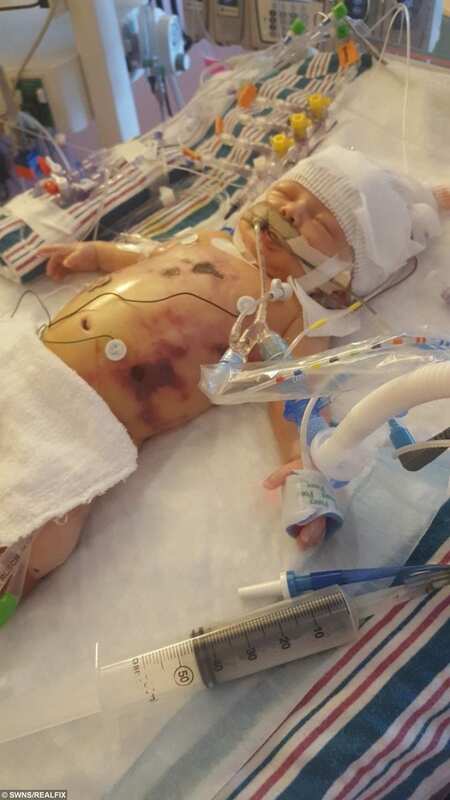 “They managed to get her heart going again and she was rushed to the PICU. Then she began to code on and off for six hours. “I found it so difficult, I couldn’t be in the room. But a doctor came out and told me that she wasn’t going to make it. “I knew I would never forgive myself if I wasn’t in there. I sat down next to her and I just told her how much I needed her here. I told her that she couldn’t leave me. 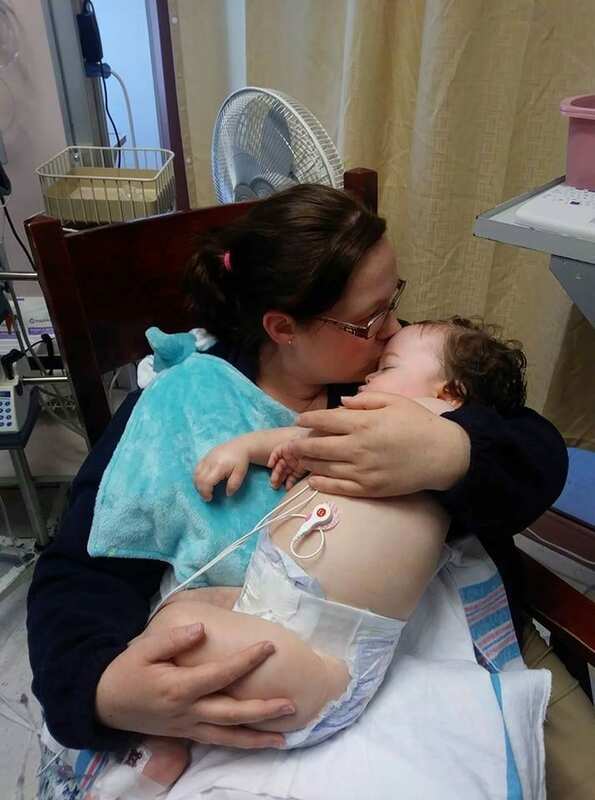 “They placed an external pacemaker on her chest to shock her every time her heart stopped. But she suffered a severe anoxic brain injury and is now vent dependent. Mum Andrea refused to leave her daughter’s bedside for her cancer treatments, but her doctors have organized for her to continue her chemotherapy in the same hospital. A recent scan detected more activity in Ariana’s brain and Andrea says she has hope that her daughter will recover. “When she was first in the hospital, I was declining my treatments. I couldn’t leave her alone, she added. “I couldn’t have forgiven myself if something went wrong while I was away. But my mom and my boyfriend were really worried about me. “I was fortunate enough that the hospital arranged for me to get my chemo on the same campus as Ariana so I have started again. “After a few months she began to move her fingers, and her pupils were no longer fixed and dilated. “The doctors warned me not to get too excited because it could just be nothing. 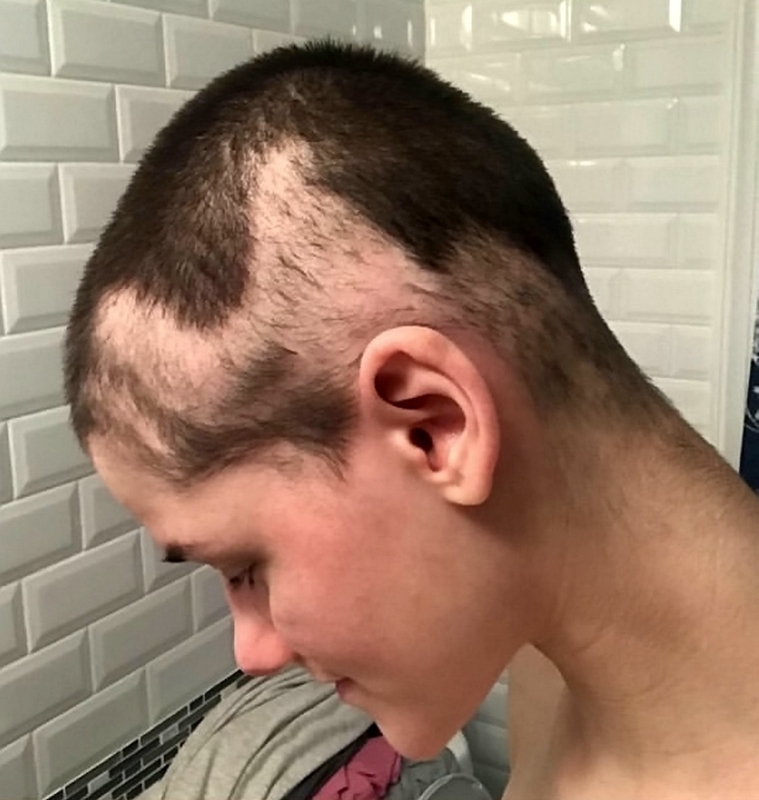 “The right side of her brain was still very quiet, but the left side was experiencing some sporadic brain activity. I can’t give up on her. 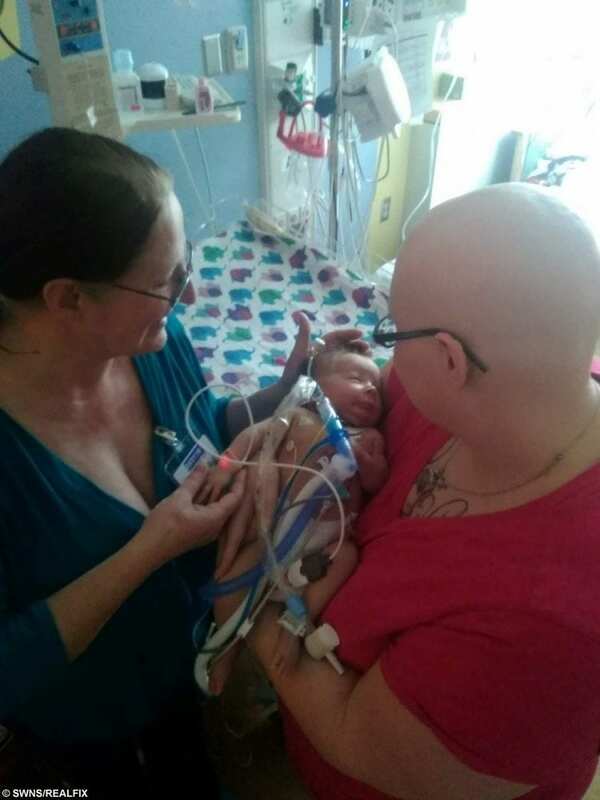 Baby Ariana Williams was just 2lb when she was born in March. Andrea’s doctors have advised her to undergo a double mastectomy when she finishes chemo to help lower her risk of cancer in the future. The mum said she hopes Ariana will remain stable enough until a time comes when she and Erik can take her home. 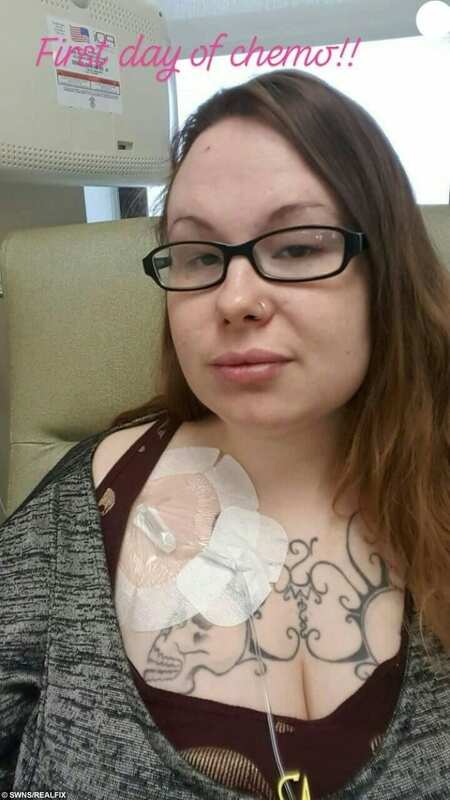 She added: “To me, the mastectomy feels like just a pebble in the water after everything. “Ariana is stable right now so we’re hoping when she reaches 10lb we might be in a position to talk about bringing her home.